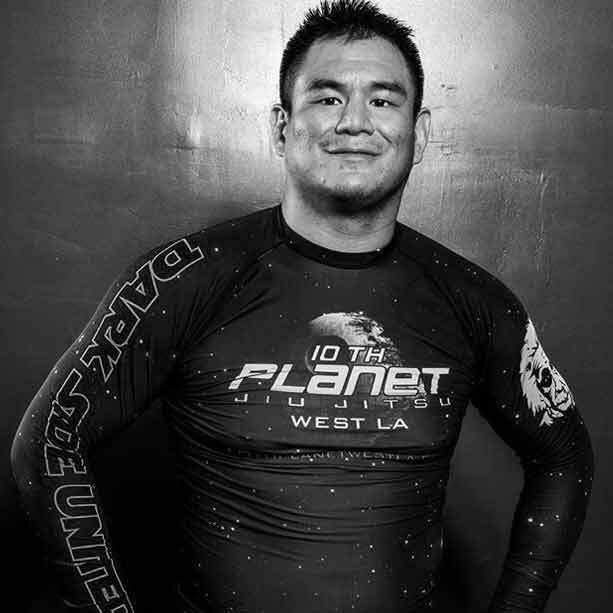 Johnny Ho is an Brown Belt instructor at 10th Planet Jiu Jitsu West LA under Scott “Einstein” Epstein. He began training Jiu Jitsu in 2008 while living in San Francisco. Johnny received his Blue Belt and Purple Belt from Denny Prokopos of 10th Planet Jiu Jitsu San Francisco. He has traveled the world training and learning Jiu Jitsu from some of the best grapplers in the world Johnny specializes in crushing souls and the half guard. Johnny likes puppies and ice cream!